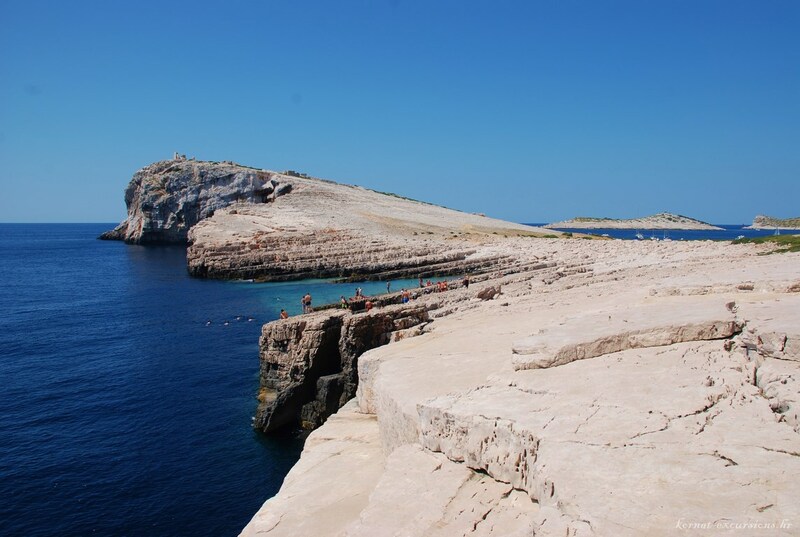 What is useful to know if you want to visit the Kornati National Park? Location of the park is in the central part of Croatian Adriatic Sea, about 7 Nm from Murter and approximately 15 Nm from Sibenik or Zadar. You can get on Kornati by any sea-going vessel, either your own boat or using the transport service of some local boatman or touristic agency in Murter or some other place on the Adriatic coast. The most commend way to get to the island of Kornati is to take one of the organised tours from Zadar, Sibenik or Murter, the price for the whole day tour is usually around 35 – 40 Euro per person and includes the following. Here you can buy entrance tickets for boats, souvenirs, and permits for recreational fishing and scuba diving. 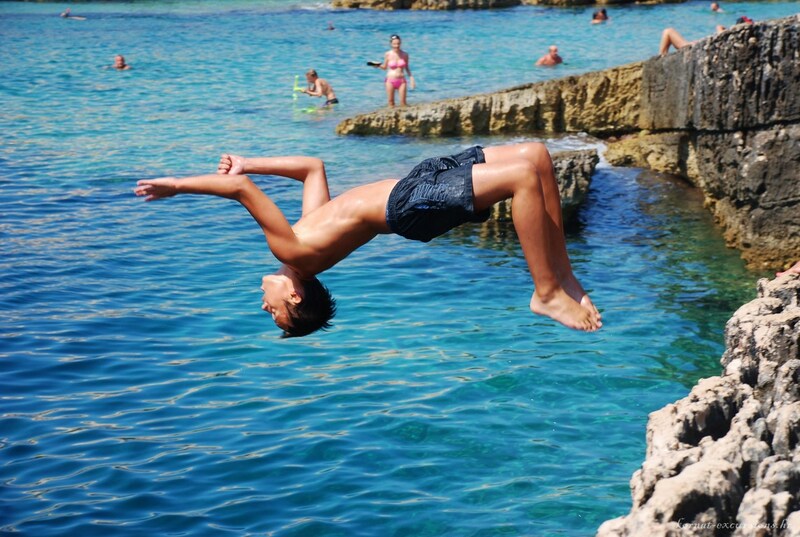 Swimming, diving and snorkelling, No special permit is required for snorkelling – diving without autonomous diving gear. If you intend to dive using the autonomous diving gear, you must do so only as part of an approved organized group. 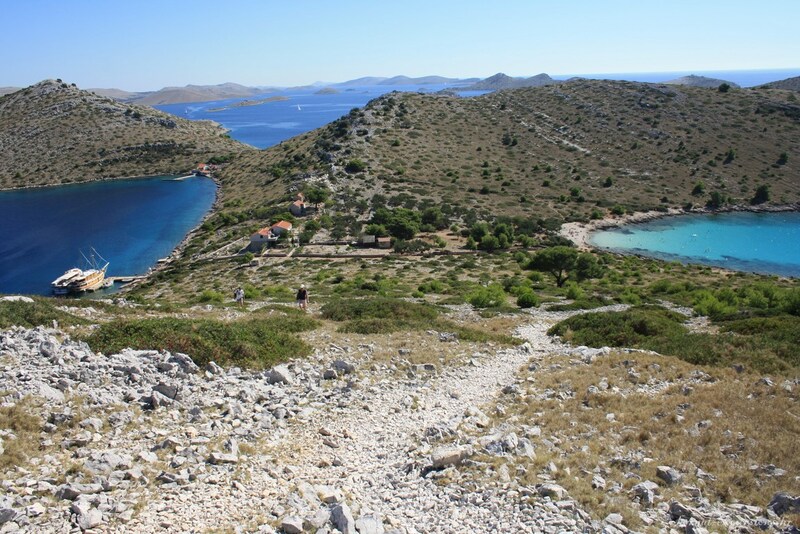 Hiking on the Kornati island, It is not hard to reach the hilltop view locations. Keep in mind that summer heat can make hiking unbearable. I recommend you take a hat and other sun protection products because there is not a lot of shade on the islands. Recreational fishing Is allowed only if the interested visitors previously provide themselves with recreational fishing permits. Festivity on Tarcu is held on first Sunday in July, due to catholic holiday of Madonna of Tarca on Kornat islands. Kornati Cup is traditional sailboats regatta, which marks the beginning of tourist season, and is held in April. The Kornati National park is opened through the whole year, you can enjoy in the quietness and serenity of the natural sea ambiance and the fresh air. This region is ideal for water sports (sailing, sport-recreational fishing, scuba diving, snorkelling) and for those who enjoy seclusion, better known as Robinson tourism. These things make your visit to the Kornati National park a unique experience! If you try it, you will know what we are talking about! For information about other organized operators you should consult homepage of the national park Kornati. Anchoring and camping on the vessel is allowed only in 16 precisely marked coves. 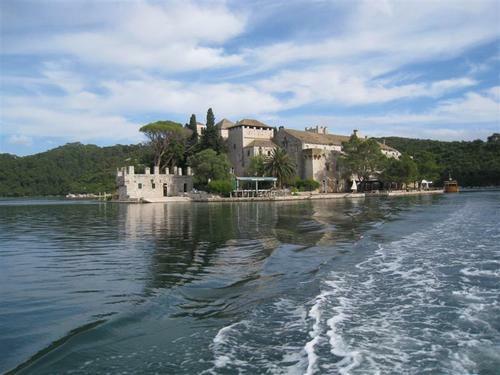 In the surrounding area, like Murter Island, there are plenty of private accommodation, hotels and camps. Murter is connected to land with a bridge in a place called Tisno. Murter offers you thousand beds in private apartments. 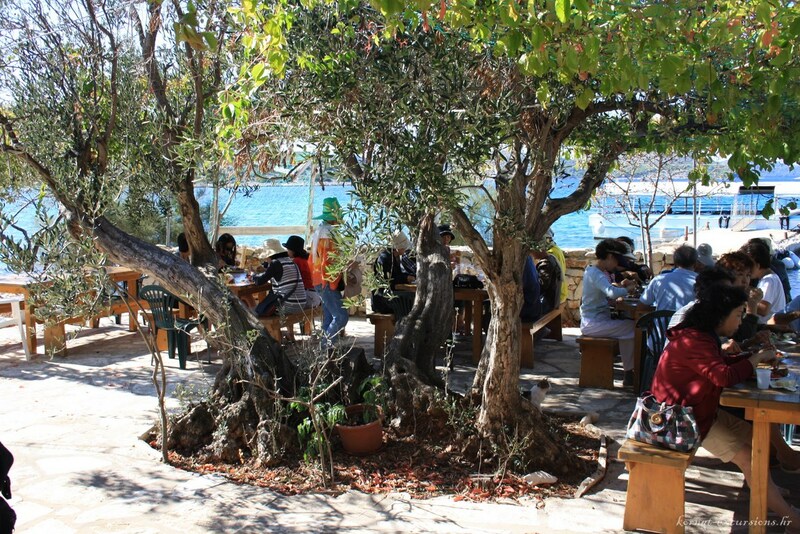 There are 25 restaurants and taverns within the Kornati National park; they offer quality domestic cuisine that mostly includes seafood specialties (fish and crabs) and domestic lamb from the Kornati area. The complete land area of Kornati National park is private property. Within that area visitors are allowed to go only to those places or walk along those paths precisely marked and intended for that particular purpose. For scuba diving and recreational fishing you need permits which can be obtained in the premises of Kornati National park Office in Murter or at the receptions in the area of the Park. Individual diving (outside the approved organized groups) is not allowed! Night time diving (between 7PM and 7AM) is not allowed! Except for a dive knife, divers are not allowed to carry on themselves or their vessels any kind of weapons or tools. The maximum allowed depth during diving visits at the Kornati National park is 40 m.
It is forbidden to intentionally disturb or harm the sea creatures. During the summer season, local inhabitants cruise with their boats around the islands and coves carrying the necessary food supplies for visitors staying in the park. The nearest ambulance services are in the Murter (on Murter island) or in Sali (on Dugi Otok island). Entrance-tickets are available in the premises of Kornati NP Office in Murter, or at the receptions in the area of the Park – for complete list of selling places consult homepage of national park. I would like to visit Kornati Park with my family, but I am afraid that for my two little children it would be too much to spend there the whole day. Is there possibility to go there just for 2-3, maximum 4 hours? I would be really happy if you could help me. 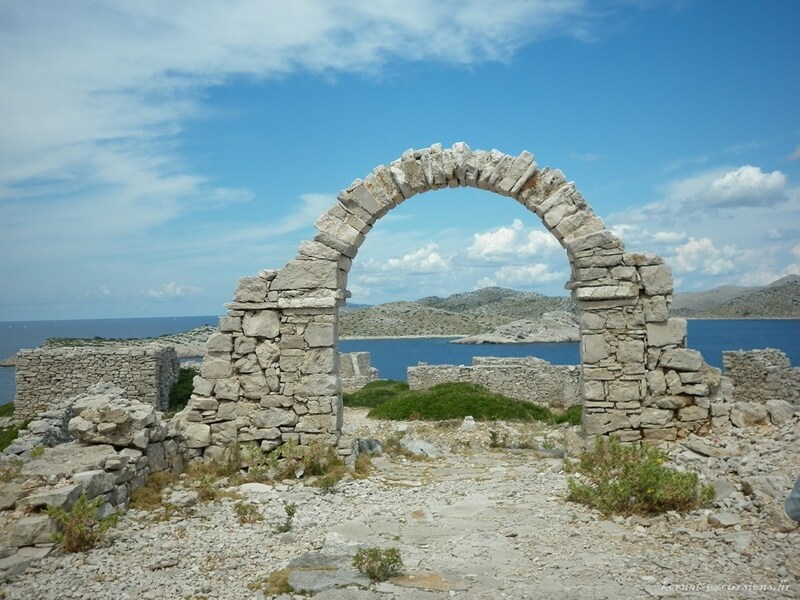 in the area around Zadar and Sibenik, there are a number of agency offering tours to Kornati, their program vary, so best think to do is to check what is avalible when you are here. 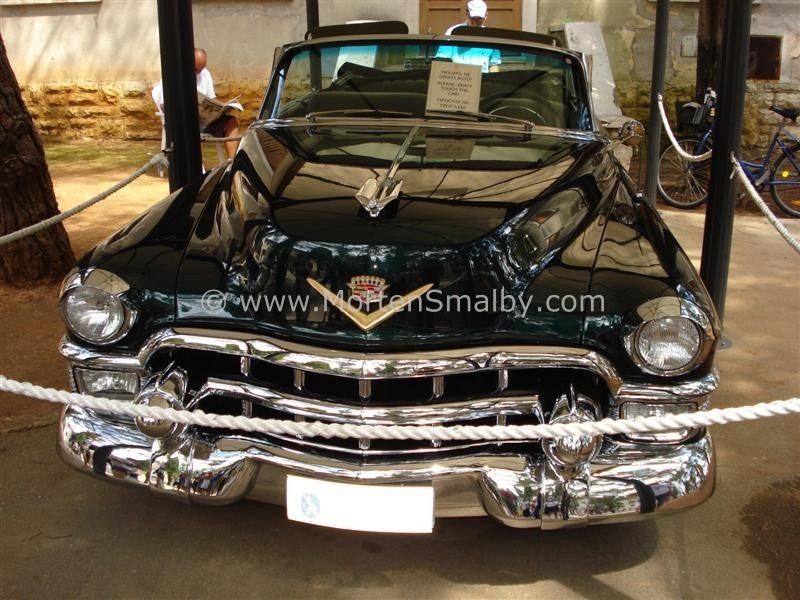 I am sure you will be able also to find a tour with shorter duration. Id love to visit the kornati Island but i dont want to go on a big tour with a lot of people. 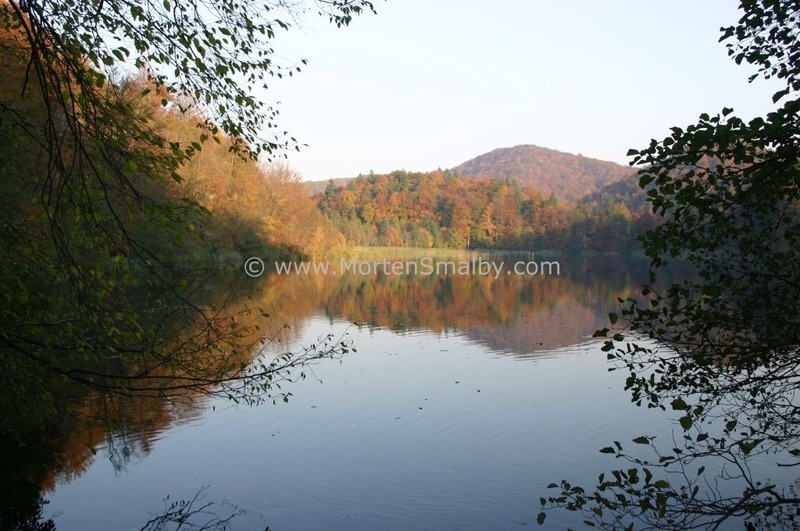 Do you Know ans Agency offering tours for smala groups or even private ? no i dont know any agency offering small tours, but i am 99% sure there is, the easist is that you ask when you are here in Croatia. Thank you for info about my excursions to Kornati National Park.I am very pleasantly surprised and thankful for this. Maby if it is posible you can in tekst live my web site http://www.kornat-excursions People will easier find photos, movies etc. If you come to Zadar please contact me and you can be our gest with your family on the boat. Hello, I’m travelling to Zadar on Feb.2rd. And I’d like to go to kornati national park at noon. How can I get there? Where can I buy the tickets? Because it’s winter so no any tour or guide in Zadar now. i recently spoke with one of the tour operators, he told me that during winter period, they only sail to the Kornati Islands when they have large groups, so i doubt you would be able to find any tour in February. As alternative i can recommend you National park Krka, which is open all year around.